Is an IPS panel worth the extra outlay? Anyone for the ultimate PC monitor? 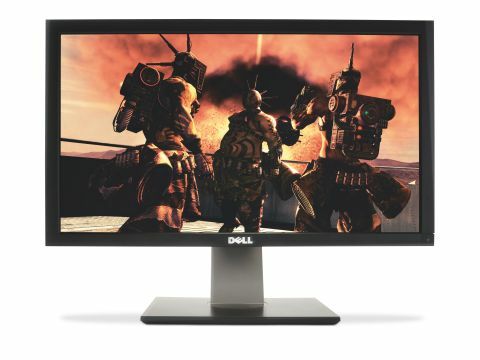 Dell's 27-incher brings high-res computing to a more manageable form factor. Awesome, if you can afford it. Can PC monitors be too big? Speak to owners of uber 30-inch displays and you might be surprised by the answer. That's where the Dell Ultrasharp U2711 steps in. At 27 inches, it's significantly smaller than ultra-panels such as HP's ZR30W. But thanks to a monster pixel grid of 2,560 x 1,440, it gives very little away in terms of native resolution. It's also quite a bit cheaper than most 30-inchers. Given the somewhat dubious ergonomics of 30-inch screens, why pay significantly more for the likes of HP's ZR30W? Of course, the Dell Ultrasharp U2711 isn't exactly cheap itself, but at least that means you get a first-rate feature set. The panel itself is a quality 27-inch item. It's the very same panel as found in the 27-inch Apple iMac, in fact. Dell hasn't skimped on the input options, either. Everything from HDMI to DisplayPort and component video is provided.